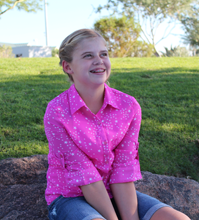 As an infant, Jane was diagnosed with a rare genetic disorder that attacked and damaged her liver. She was given just two years to live, and a transplant was her only hope. In February 2006, Jane received a lifesaving liver donation and returned home one month after her surgery, happy and healthy. Now vibrant and active, Jane loves to craft and color and is constantly on the move, running and playing with her little brother. “You would never know Jane had a transplant because she is just a normal girl who lives life to the fullest,” says Erin. By registering today you give hope to more than 2,100 Arizonans on the organ transplant waiting list. Enter your name as you want it to appear on the Wall of Life. If you are adding your name in honor of someone, please select his or her story below. © 2018 Donor Network of Arizona. All rights reserved.